Brendog's prototype Scott has seen a few changes this weekend, most notably the addition of a high idler to free up the suspension from unwanted interference from the chain. It is unclear whether this is a new direction for the prototype or just something the team is testing for certain tracks, at any rate it worked well enough in practice for them to decide to adopt it for qualifying here in Val di Sole. Man look at all those metal washer spacers on the Scott. Get with it and use Nylon to save some weight and get accurate spacing. I likes my chain line just under the high pivot so that when you put the power down it gets pulled into the ground for more bite. i wondered why they didn't have an idler when the first shots of this design came out. 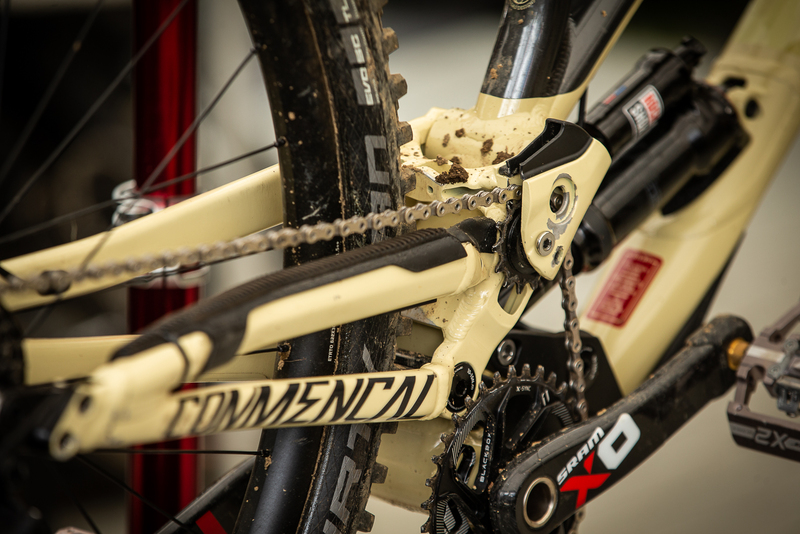 guess commencal/pierron has people hoping for better performance from their designs. 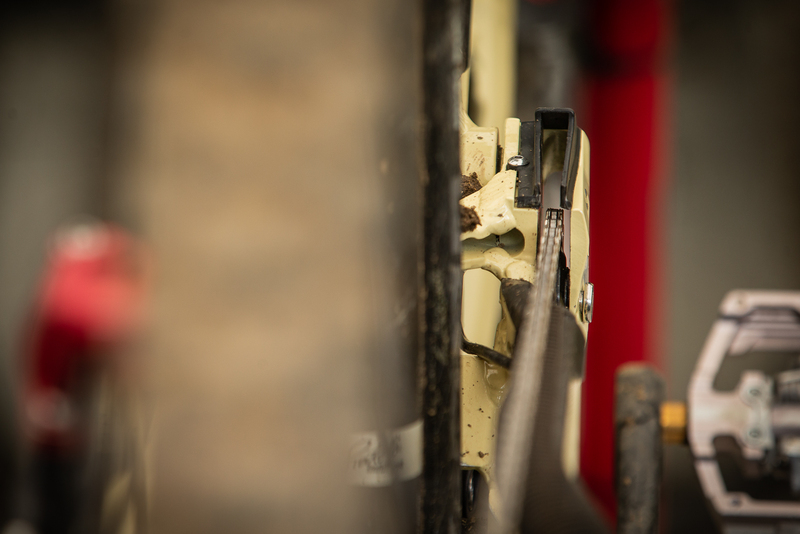 Speaking of Pierron, he's currently running his Commencal with a custom swingarm that has a lower idler, about 2cm below the center of the pivot instead of in-line. From the looks of it there are three mounting options to choose from, his current setup being in the middle. But isn't this latest Gambler using the same exact front triangle, just with an updated rear suspension layout? Don't forget Sunn/Vouilloz Racing bikes of the past, those predated some of Morgan's stuff, and the some of the same people have influence now.